The School of Veterinary Medicine ranked first of 28 U.S. veterinary schools in NIH-funded research. The School of Medicine ranked 34th among 139 medical schools in 2013. This ranking advances UC Davis School of Medicine three places higher than in 2012. 1st among national universities in number of faculty papers written in the fields of ecology and the environment, agriculture, entomology, food science and nutrition, and plant and animal science. Tied for 1st among research universities as the top producer of U.S. Fulbright Scholars from 2012 to 2013. 5th among U.S. universities in the number of international scholars. In the fiscal year 2012 -2013 total research funding at UC Davis Medical Center topped $754 million. Nearly 1,000 research grants and contracts totaling $207million at the School of Medicine and 209 grants and contracts totaling $67.2 at the School of Veterinary Medicine in 2013. In 2013 over $180 million of research funding was awarded to UC Davis from the National Institutions of Health. Unlike canvassing, e-mailing, and calling researchers, participation in an on-campus show helps lab suppy companies target a broad audience and gain face-to-face contact, making it easier to collect high quality sales leads. 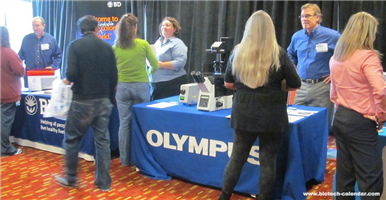 The BioResearch Product Faire™ Event, which is organized by Biotechnology Calendar, Inc., is one of the best campus vendor showcases in the nation. 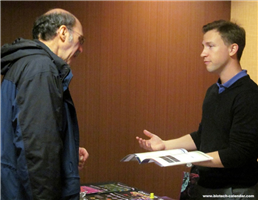 The 2013 UC Davis Medical Center BioResearch Product Faire™ Event attracted 141 attendees, an increase of 5% from 2012's event. Of these attendees, 27% were purchasing agents, professors, and postdoctoral associates, 9% were lab managers. These attendees came from 16 different research buildings and 25 on-campus departments. The UC Davis Medical Center BioResearch Product Faire™ Event also provides an opportunity for lab supply companies to obtain sustained relationships with leading scientists, postdoctoral associates, and graduate students as well as identify and recruit talented employees. On average, 35% of attendees at the annual BioResearch Product Faire™ Events are graduate students and postdoctoral associates. These attendees could be future employees for lab supply companies or potential purchasing decision makers. 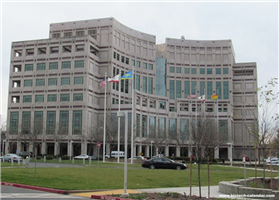 UCDMC is a paticularly well-funded marketplace. The university received $180 million from the NIH in 2013 and $47 million so far in 2014. There are more than 1,000 basic science, translational, and clinical research studies in progress and over $200 million in external research funding available. If you are interested in more shows at different institutes cross the nation, please read the National Show Schedule for 2014.